Despite a lot of mixed reviews on this product so far, I decided to crack a box anyways. 4 Rookie Premieres, all level 2 of 399 - Nathan Beaulieu, Beau Bennett, Justin Schultz and Jack Campbell. Crystal - Larry Robinson. 3 Star Spotlights - Robinson, Markov, Subban & Russian goalies. Finally , I have a Jagr auto for the PC. Yeah... I would say that you have hit the best box I have seen yet!!! Huge congrats! 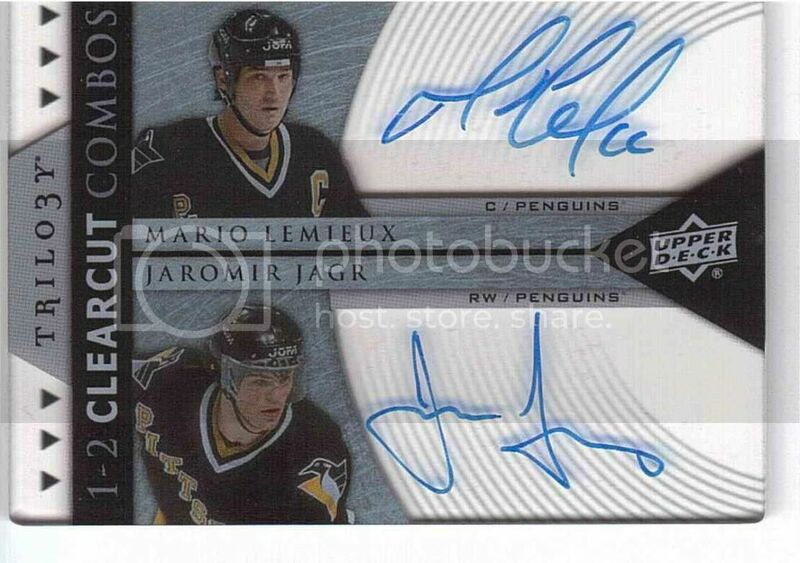 Is that Lemieux/Jagr on card? 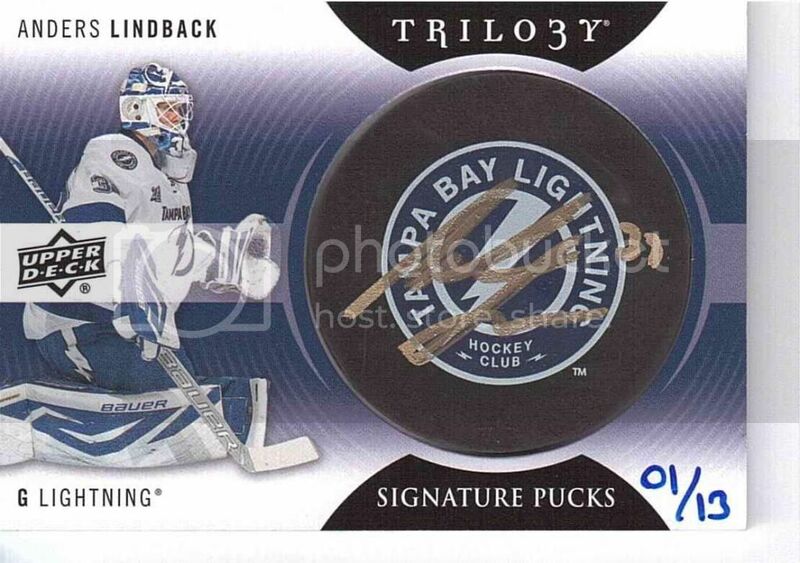 Doesn't look like a sticker from the scan. Awesome dual. PLMK if change your mind and want to trade it.